Kate focuses her practice on debt financing transactions. She represents private equity groups, commercial lending institutions and other private and public companies in connection with the negotiation, structuring and documentation of secured and unsecured financing transactions for both borrowers and lenders, including senior, mezzanine and subordinated debt transactions, acquisition financings, and loan workouts and restructurings, including debtor-in-possession financings, and general corporate matters. She also has significant experience negotiating capital call lines for private equity groups ranging from $10 million to $150 million. 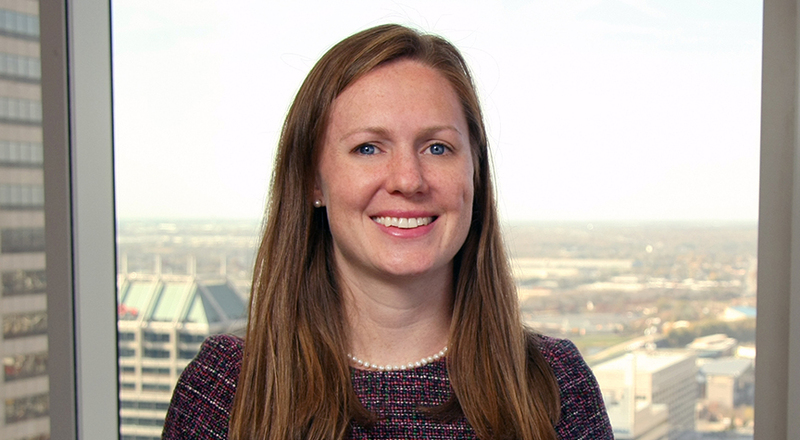 Prior to joining Taft, Kate was a partner in the Chicago office of Kirkland & Ellis LLP, where she had practiced since graduating from law school. During her tenure at Kirkland, Kate acted for some of the country’s leading private equity funds, as well as a wide range of private and public companies, in connection with their domestic and cross-border debt financing transactions. Kate earned a J.D. from the University of Houston Law Center in 2007 and a B.A. in history from Yale University in 2002. She was an intern for the Honorable Judge John D. Rainey for the Southern District of Texas and for the Honorable Justice Laura C. Higley for the First Court of Appeals in Houston, Texas.